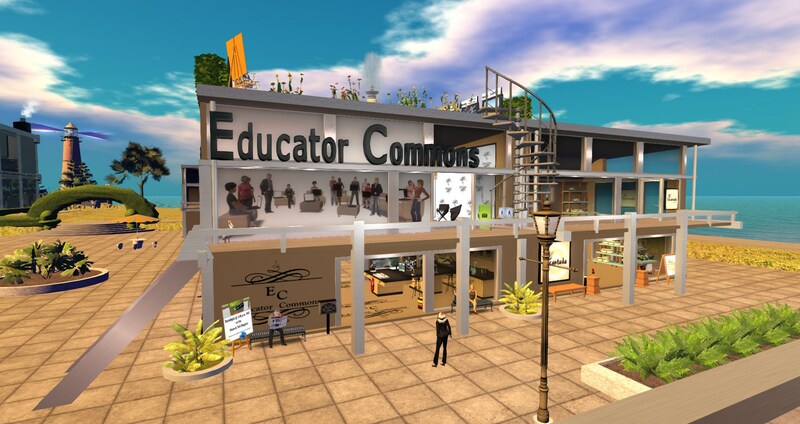 To help schools and educators create, access and share more virtual learning and educational resources, an Educator Commons shop has been set up on OSgrid‘s Wright Plaza region by Kay McLennan, a professor of practice at Tulane University. 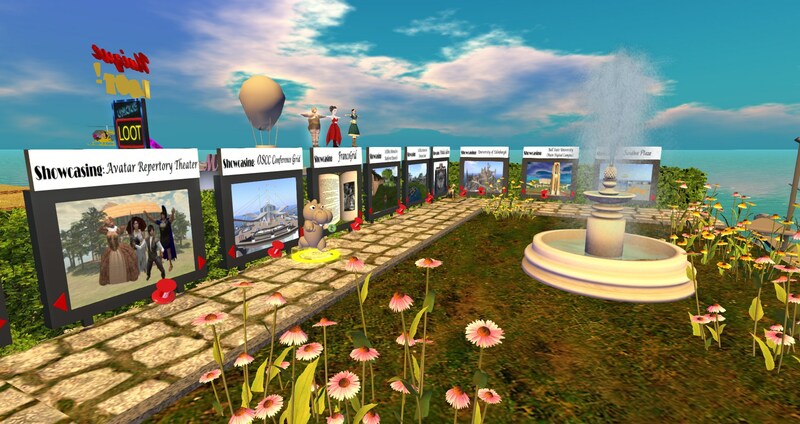 The shop, which is hypergrid-enabled, has virtual world learning and teaching tools, freebies, Do-It-Yourself resources, hypergrid links to showcase education builds by the community, and a directory of OpenSim educational content creators. The hypergrid address is hg.osgrid.org:80:Wright Plaza. 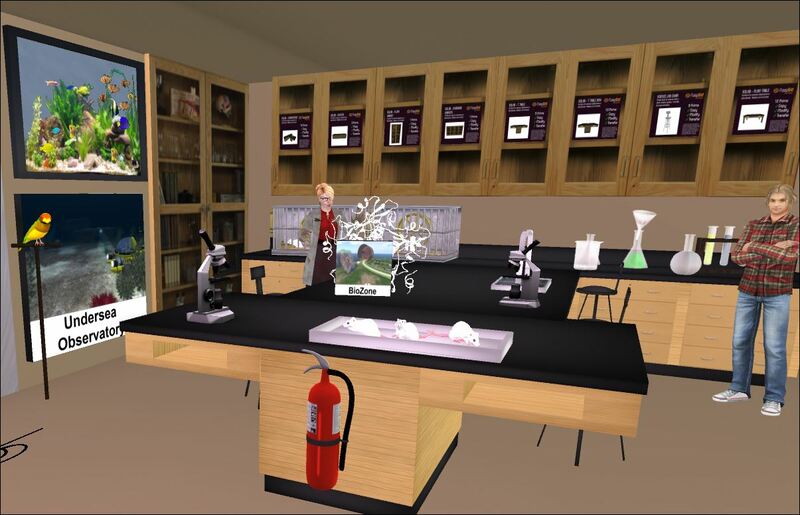 The shop will help educators create their own simulations easily and at a low cost, while accessing free tips about virtual education matters. 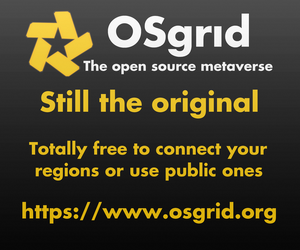 There is free give-away content too, and all will be distributed under the open source Creative Commons licensing, McLennan told Hypergrid Business. “If any content in the shop is believed to be distributed under a different, more restrictive, copyright or license, I request notification and I will immediately remove the content from the shop,” she said. In addition to freebies that visitors can grab copies of right in the shop, there are also links to downloadable resources such the OAR files for the BioZone by Peter Miller and the Undersea Observatory by Justin Reeve. 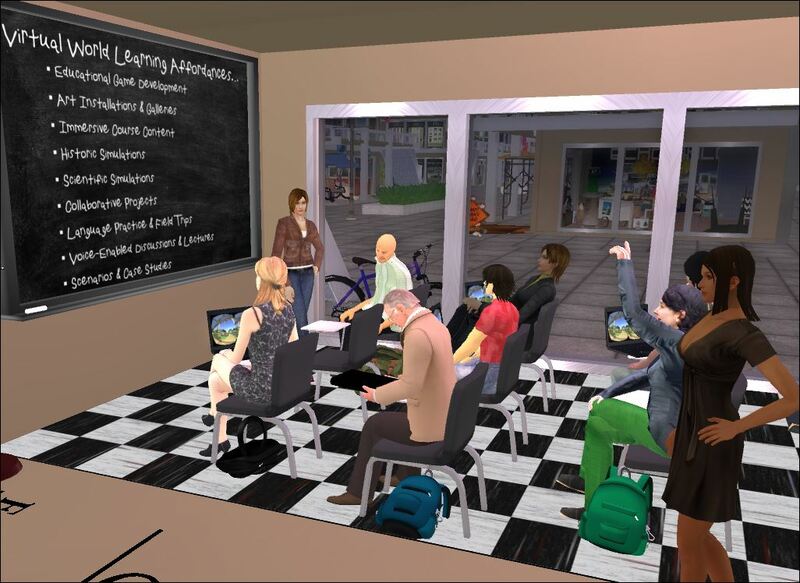 There is also lots of information for educators who are getting started in OpenSim. Educators can use resources on the second floor to get free land, learn how to host their own grids and where to host them, and download free items such as buildings and terrains. There are also links to many more OAR and IAR files available to download on the web. Educators can also share hypergrid addresses of college-level or K-12 showcase hypergrid destinations. To do so, you leave a note card in front of the shop or post the information to the Google Plus group. A Showcase Garden on the roof of the shop contains slideshows of sample educational builds and landmarks to the showcase builds. 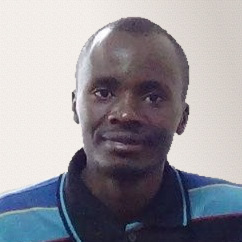 The group plans to add more educational content, tips, and other resources that allow showcasing and sharing of educational content. Educators can also search and find various providers of virtual world educational simulation consulting services for hire from the Directory of Content Providers on the second floor. To be listed as a provider, all a content creator needs to do is provide a freebie virtual educational content for educators to use. You can do so in-world or through the community’s Google plus page.